Article: Forever In Your Mind Had A Blast Presenting At The 2016 Radio Disney Music Awards! Releasing a smashing hit single titled “Hurricane” and having a blast at the renowned Radio Disney Music Awards, just another day in the exciting life of the sensational Forever in Your Mind! 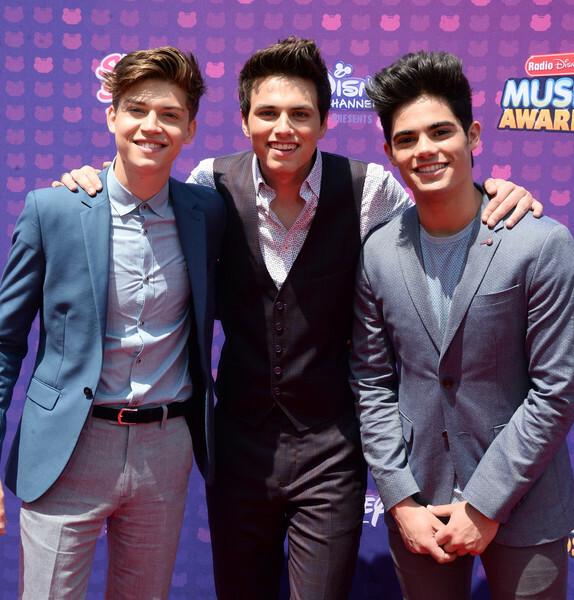 After the massive success of the release of their single, the members of Forever in Your Mind: Ricky Garcia, Emery Kelly, and Liam Attridge had a magnificent time as they attended the 2016 Radio Disney Music Awards yesterday, April 30, 2016 at the Microsoft Theater in Los Angeles, California. The band that can stay forever in your mind had a phenomenal time presenting an award at the event. Check out more photos below of the spectacular Forever in Your Mind at the 2016 Radio Disney Music Awards! Comment below and tell me or tweet me at @alexisjoyvipacc, did YOU catch Forever in Your Mind at the RDMAs? Previous Article: Timothy Colombos, Kennedy Slocum, Ryan Cargill, Jailen Bates And Cree Cicchino Have A Blast Together In LA! Next Article: Sabrina Carpenter Mesmerized Us All With Her Performance At The 2016 Radio Disney Music Awards!